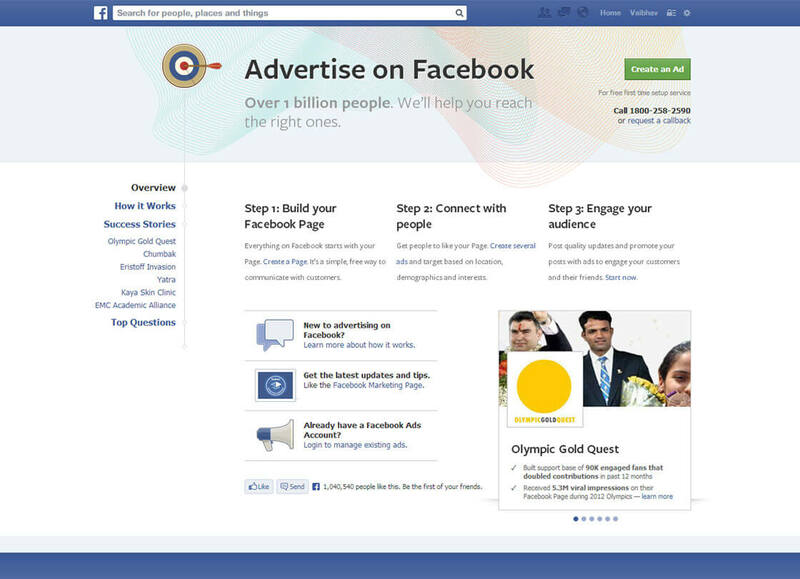 Facebook advertising is one of the fastest growing forms of online marketing today. Coalition Technologies has managed search engine optimization campaigns, which included Facebook efforts for many of our clients. There is a lot of misinformation out there about Facebook advertising, and our educational approach helps clients better grasp all of its nuances. The first stage of any Facebook marketing project is simply making a page on the social network for the respective business. This is the most basic part of your Facebook advertising efforts, because it will act as the hub of your company’s activity on the social network. Plus, creating a Facebook page is one of the best ways to connect and communicate with your consumers. Once you have a Facebook page that users can connect to, you can begin focusing on attracting them to your business. This usually involves creating different advertisements that are aimed toward your target demographics. People often wonder what type of demographic controls they will be able to implement in their advertising campaigns. You can determine the age, education, gender, likes and interests, location, and relationship status of your target audience. Obviously, these specifications allow for more powerful and pointed marketing projects within Facebook. When you have the ability to fine-tune who is seeing your advertisements, you are in a unique position to improve the overall efficacy of your company’s marketing. Finally, the objective will shift from simply connecting to users to engaging with your target audience in a meaningful way to encourage conversions. Achieving this end is the result of creating quality posts and promoting those posts with advertisements to engage your target audience and their friends. You will be tapping into diverse and well-connected networks that will propel you into a more receptive and eager market. Facebook has been adding more and more tools to help businesses coordinate their marketing efforts, like their Ads Manager Reporting feature, which allows you to access more data to measure the overall efficiency of your campaigns. As the management abilities of Facebook’s paid advertising service increases, it will become more successful at delivering quality results to businesses. Coalition Technologies understands how to implement social media campaigns with Facebook. We’ve used this particular social network with a variety of search engine optimization campaigns we’ve run for our clients. Beyond Facebook’s reporting features, our team will be able to provide unique data and insight on how your Facebook advertising will affect your SEO efforts. Ultimately, the goal is to increase the amount of conversions you earn from the social media network. The opportunity presented by Facebook, coupled with Coalition Technologies’ expert team of SEO technicians, has enabled our clients to experience sizeable growth both in their rankings and revenues. Coalition Technologies has a team of social media professionals who work with our SEO technicians to format inimitable campaigns and projects that can improve your business. Start the conversation with Coalition Technologies today and see how Facebook advertising can be utilized to your benefit.